Forage: Sorghum-sudangrass is used primarily for grazing, green chop, silage and hay. Sorghum-sudangrass is a cross between sorghum and sudangrass. It is a finer stemmed warm season annual grass when compared to forage sorghum and will regrow after each harvest. It can grow up to 15 feet tall and typically has small seed heads. Seed is produced on a panicle which is open and erect. The leaves are similar to corn but are shorter and sometimes wider. Varieties with the brown midrib gene have significantly greater digestibility which increases utilization and efficiency. There are approximately 21,000 seeds per pound. Sorghum-sudangrass is adapted throughout the United States and southern Canada. Sorghum-sudangrass performs best in moderate to well drained soils with a soil pH between 5.5 and 7.5. Drought tolerance is high with the water requirement being approximately 1/3 less than corn. Planting rates vary from 20 to 40 pounds per acre depending on whether the seed is broadcast or planted in rows. Planting dates are usually from May to July but can be earlier in the deep South. Soil temperature needs to be a minimum of 60 degrees Fahrenheit for germination. Seeding depth should be 1 inch. 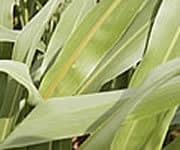 For optimum forage production, moderate fertility is suggested although sorghum-sudangrass will grow on lower fertility soils with better results than corn. Fertilize using soil test recommendations. If a soil test is not available, fertilize at similar rates to other annual grass crops. Grazing sorghum-sudangrass should begin when the plants are between 18 to 30 inches tall and grazed down to 8 inches within 10 days. After grazing, the residue needs to be clipped to a minimum uniform height of 8 inches to ensure high quality forage production for the next grazing period in 3 to 4 weeks. Do not graze after a killing frost until the plants turn completely brown (7 days). If the plants are frost damaged, wait until the regrowth is at least 18 inches high before grazing again. Green chop harvesting should begin when the sorghum-sudangrass is 18 inches tall and should be completed before the plants head out. Silage should be harvested when the plants are 36 to 48 inches tall or in the boot to early head stage. At this stage, moisture is usually too high and the plants should be allowed to partially dry in the field before ensiling. Harvesting for hay is recommended before head emergence or when the plants reach 48 inches in height. Rapid, uniform drying is critical for sorghum-sudangrass hay to prevent spoilage. Avoid possible nitrate and prussic acid poisoning by avoiding large applications of nitrogen prior to expected drought periods; do not harvest drought damaged plants within 4 days following a good rain; do not cut or graze within 7 days of a killing frost; cut at a higher stubble height if under stress since nitrates accumulate in the lower stalk, and delay feeding silage 6 to 8 weeks after ensiling to allow prussic acid to dissipate. Never feed sorghum-sudangrass to horses.